Segway of Oakland is offering lessons to new riders, so hurry now! They are the only Northern California dealer that offers onsite lessons and training, and learning to ride a Segway is easy, and riding a Segway is a lot of fun! Segway of Oakland is the only Dealer in Northern California that offers onsite lessons and training in addition to private onsite training for individuals as well as tours and training with guides. And since the vast majority of people don't know how to ride a Segway, the way most people experience their first Segway ride is through a tour or other guided rental. Segway tours almost always include a substantial amount of introduction and beginner level training. Segway Tours that include training are available at several locations through Northern California as well as throughout the world. Recognizing that only a few people know the basics of how to operate a Segway, such as how to turn a Segway on, these Segway tours companies are really Segway training centers. However, many people still shy away from trying a Segway because there are not a lot of options for training. Generally people would need to go on a tour to learn how to ride a Segway, but that generally means training with a lot of other people which requires that them to learn it at the same speed as the group. Segway tours are the most accessible way to learn to ride the Segway, and thankfully in the Bay Area there are many other options because of Segway of Oakland. Onsite training for businesses and agencies such as law enforcement agencies are available as well as onsite private training for individuals. For anyone needing or wanting private Segway riding instruction, Segway of Oakland has the most experienced personnel. 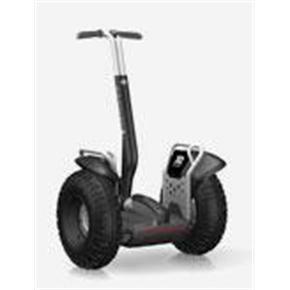 Segway of Oakland can offer a wide range of Segway training services. The only Segway dealer that offers this many training and lesson options is Segway of Oakland. They have been doing this specialized training for longer than just about anybody in Northern California. For anyone in the Bay Area wanting Segway lessons and or training, give Segway of Oakland a call at 510-832-2429, and please be sure to visit their website at http://www.segwayofoakland.com. Segway of Oakland introduces the easiest way to learn how to ride a Segway, so stop by Segway of Oakland today and learn how to ride a Segway!